Controversial conservative talk radio host Rush Limbaugh is defending earlier comments in which he accused President Obama of using the disaster in Haiti for political gain. 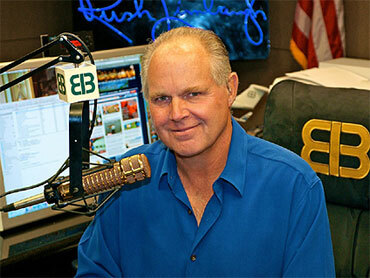 "I do believe that everything is political to this president," Limbaugh said on his radio show yesterday. "Everything this president sees is a political opportunity, including Haiti, and he will use it to burnish his credentials with minorities in this country and around the world, and to accuse Republicans of having no compassion." President Obama has dedicated $100 million for immediate relief efforts in Haiti, calling it a "top priority." The president has not politicized the matter or criticized Republicans' response to the disaster. Republicans, in fact, have largely expressed their support for the president's efforts. White House Press Secretary Robert Gibbs did accuse Limbaugh specifically of having no compassion after his original remarks: "I think in times of great crisis, there are always people that say really stupid things," Gibbs said yesterday. "I don't know how anybody -- I don't know how anybody could sit where he does, having enjoyed the success that he has, and not feel some measure of sorrow for what has happened in Haiti." The conservative magazine the National Review defended a portion of Limbaugh's original comments in which he questioned the effectiveness of giving aid to Haiti via the government. "On the facts, Rush is right," writes Jim Geraghty. "The tale of U.S. foreign aid to Haiti is maddening, as well-meaning Americans dump more and more money to alleviate suffering, only to see little or no actual improvement in the living conditions on the ground." Geraghty points to a Reuters article outlining a history of corrupt and weak civil services in Haiti that has slowed the distribution of American aid. Now, in the aftermath of this giant earthquake, the biggest challenge for government and private relief efforts alike is the lack of infrastructure available to move supplies. Former President Bill Clinton on the CBS "Early Show" disputed Limbaugh's earlier claims that "we've already donated to Haiti. It's called the U.S. income tax." "Well that's just not true," Clinton said. "We give a modest amount of aid." It will take significant resources to help the people of Haiti recover. CBS News White House correspondent Mark Knoller reports that the American public has responded to the Haiti crisis so far by donating more than $8 million to the American Red Cross for Haiti relief — $10 dollars at a time — by texting HAITI to 90999. The Red Cross successfully implemented the text-to-donate solution with the assistance of the U.S. State Department and the promotion of the Obama Administration.